/Redacting PDFs /What is PDF Redaction? Q: What does it mean to Redact a PDF? A: PDF Redaction is when you remove any information from a document prior to publication or distribution. This is often neccesary when you have confidential or private information that you do not want others to see or have access to but still want to make part of the document available. 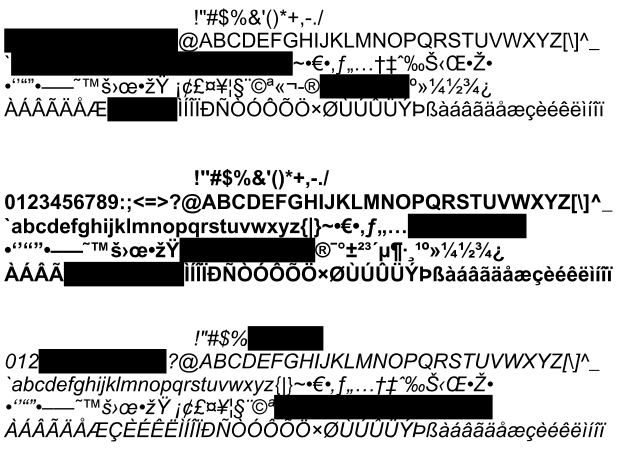 The most common example of this is a black rectangle that you see covering part of a text in a document like below. If you use your cursor to highlight the above text you be able to easily see the text. Just covering up the text with black appears to have hidden the words but in reality the information is still there. Anyone can just copy and paste the information into any other document. PDF Studio 9 and above contains an advanced redaction tool that completely removes all traces of the redacted content from the document. Not only does it remove text but it also is capable of redacting partial and entire images. See How to Properly Redact a PDF in PDF Studio to learn how to safely and securely redact your PDF document using PDF Studio.